A joint Doctrine, Organization, Training, Materiel, Leadership and Education, Personnel, Facilities and Policy (DOTMLP-P) Change Recommendation (DCR) is a recommendation for changes to existing joint resources when such changes are not associated with a new defense acquisition program. A Joint DCR is a Joint Capabilities Integration and Development System (JCIDS) produced document that intents to partially or wholly address an identified capability requirement and associated capability gap with a non-materiel solution, recommending changes to existing capabilities of the Joint force in one or more of the DOTMLPF areas. In cases where a Joint DCR is not generated from an Initial Capabilities Document (ICD), it also serves to document the new capability requirements and associated capability gaps being addressed. 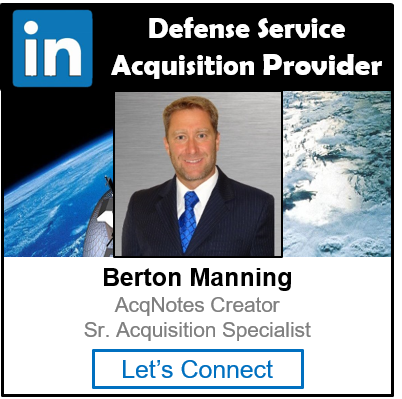 A Joint DCR may be generated from a validated ICD as a nonmaterial solution to a previously validated capability requirement and associated capability gap, or as a complement to a materiel capability solution which will be developed through the acquisition process. Additional DOTMLPF analysis may be completed as required to fully define the Joint DCR. A Joint DCR may be generated without an associated ICD if non-materiel approaches appear to be the most viable solution for identified capability requirements. An ICD waiver request is not required for Joint DCRs without associated ICDs. View JCIDS overview for more information concerning how the DCR fits into the JCIDS process.